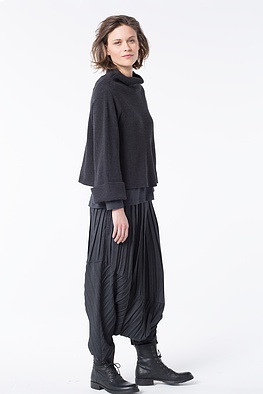 Short over long, wide over narrow-cut: this OSKA pullover has advanced to a favourite in playing with layers. Its short boxy design gets a beautiful feminine touch from the minimally suggested A-line. 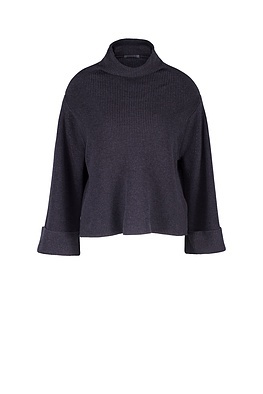 The severe looking stand-up collar is a sophisticated contrasting break. 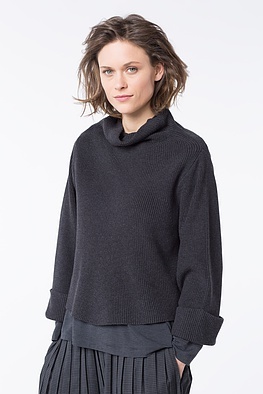 Wide low-set sleeves with cuffs complete this pullover.